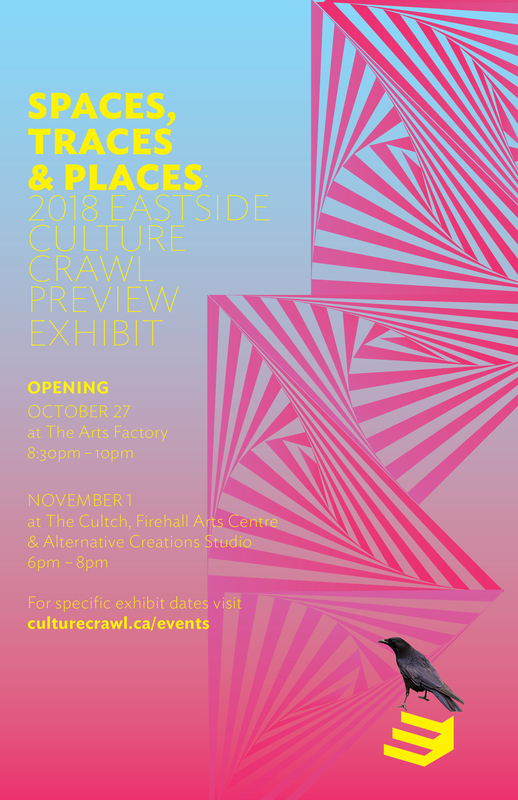 I am very please to have been selected as one of the artists to participate in Spaces, Places and Traces, a multi-venue exhibit to preview the Eastside Culture Crawl. My piece, Retreat, will be exhibited at The Arts Factory venue. the external and internal. Intricate branchwork traces subtle figures navigating this environment. 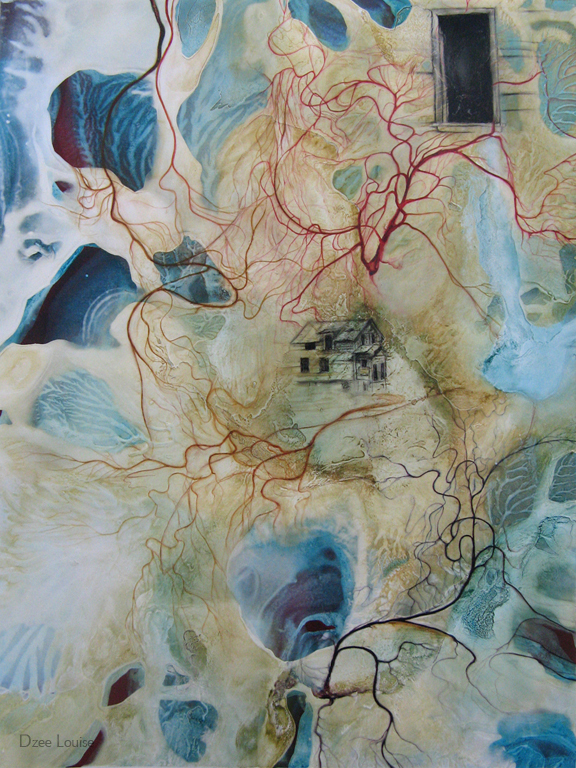 I explore the marks that are left in our environment, our bodies and our psyches by our actions and reactions. Retreat emphasizes the transitional space both in the abstraction and in the darkened windows suggesting something that once was. The two figures look away, one into the painting, the other off the edge.